The itinerary is flexible and your guide will be happy to make arrangements that suits your needs throughout the day. 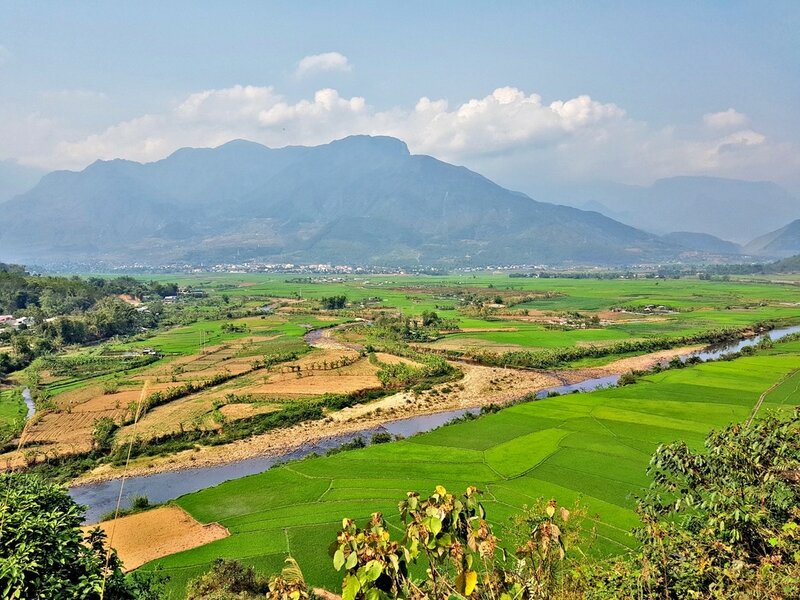 What to expect: Drive by private car up past the Silver Waterfall, through the forests of the Hoang Lien Son National park to Heaven's Gate and Tram Ton Pass (the highest road in Vietnam). As we drop down into Lai Chau Province, we travel through a numbers of villages home to the Hmong and Lu ethnic minority groups. These areas have beautiful rice terraces and spectacular mountain scenery. Lunch can be taken at a local restaurant, or if you are looking for something truly experiential, we could also buy food in the local market and cook together with a White Thai family. After lunch, there might be options to do some fishing with a local family or perhaps go for a swim in the river. If time permits, there is an option to add a 4km walk into this itinerary. There is also a wonderful cave that doubles up as a temple. This is well worth visiting if you like exploring. Be aware that during rainy periods, trails around Sapa may be muddy and slippery. Walking shoes with good grip are recommended.